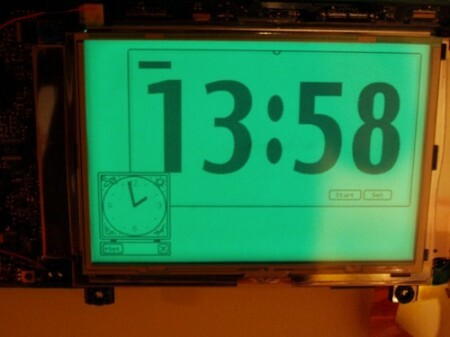 Genius: a Newton eMate serving as a light-up wall clock, using BigCountdown, naked as the day the screen was born. Check out the photo gallery to see the nitty-gritty. Posted by davelawrence8 at 6:12 am on January 22nd, 2010. One comment... » Categories: DIY, eMate. Tags: bigcountdown, clock, DIY, eMate, lighted, messagepad, newton, wall. Subscribe via RSS.